Ouray has a rich and colorful history. Relive our past at the Ouray County Museum, voted by the Smithsonian as one of the "Best Small Museums in the West." Millions of years ago, massive uplifts, glacial and volcanic activity, wind, rain, and variant temperatures carved out the rugged mountain topography of the San Juan Mountains. The creation of these rock alterations provided the ideal environment for rich deposits of silver and gold. In fact, the mountains that cradle the town of Ouray are some of the most highly mineralized sections of rock in Colorado. The first known humans to inhabit the area were the Ute Indians. For centuries, the nomadic tribes traveled during the summer months to this idyllic setting to fish and hunt the abundant forest game and to soak in what they called their "sacred miracle waters." In fact, the town's original name was "Uncompahgre," the Ute word for "hot water springs." 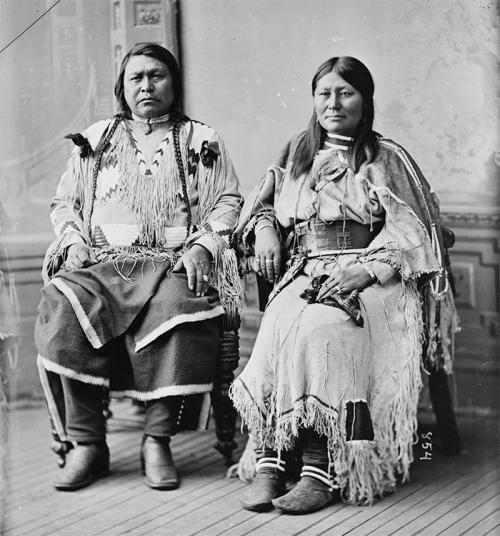 By 1873, Chief Ouray, a multilingual speaker and the legendary leader of both the Tabeguache and Uncompahgre bands of Southern Ute, reluctantly signed a government treaty releasing their treasured San Juan territory to encroaching settlers. The town, incorporated in 1876, was named in the Chief Ouray's honor. With the continued frenzy for precious metals, Ouray's population exploded from a mere 400 to several thousand and quickly grew into a booming Old West mining town. Ouray provided a school, several churches, the Miner's Hospital, numerous restaurants, hardware, clothing and supply stores, hotels and boarding houses, and on the mischievous side, numerous saloons and brothels. In addition, by 1888, the townspeople cheered the arrival of the locomotive, which chugged into town on a branch line of the Denver & Rio Grande Railroad. Eventually, times changed. Like so many nineteenth century mining towns, Ouray suffered from the unpredictable nature of the mining industry. Mining stayed an important part of the economy until the early 1980's, but the economy had been without question shifting from mining to tourism. A determined local crowd, through dedication and hard work, grew their beloved mountain community into one that today is alive and well. The view from Ouray is remarkable, the access to public land is unbelievably close; in fact, the boundaries between the town and the high-country are nearly inseparable. With the rising popularity of winter sports – cross-country skiing, snowshoeing, and ice climbing - tourism continues to grow. Ouray has developed into a remarkable, world-class travel destination. Ouray's history is long and colorful. 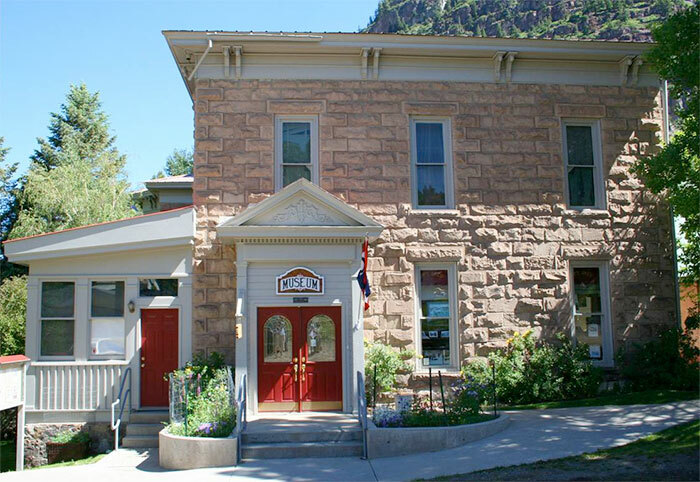 Visitors can experience our past by visiting the Ouray County Historical Museum deemed "one of the best small museums in the West" by the Smithsonian Institute. Built in 1886, the museum was the original St. Joseph's Miner's Hospital, operated by the Sister's of Mercy. The building operated as a hospital throughout the mining era until the early 1960's. The Ouray County Historical Society converted the building into a museum in 1976. The museum currently offers a research center with thousands of photographs and written documents for viewing. Visitors, plan to set aside enough time to wander through all the exhibits and outbuildings! There are extensive displays: an impressive mineral collection, Ute Indian artifacts, mining, ranching, and railroad exhibits, an original operating suite and patient room, dentist and doctor's offices, Victorian Era displays, and many more fascinating exhibits. In addition, if you are interested in Victorian architecture then start at the museum, either on foot or by car, and take part in the Historical Society's walking tour. Ouray is a National Historic district and most of the exquisite original homes, hotels and other buildings from the nineteenth-century are still standing and beautifully restored. We encourage you to choose Ouray for your vacation destination and share in our memories while creating your own.